The NEFAR Charitable Foundation partnered with Haven Hospice and OGS Promotions to found the first NEFAR Charity Bass Tournament benefiting Haven Hospice in 2004. The tournament has been consecutively and successfully held every year up to and through 2018. We are pleased to announce that our 16th annual NEFAR Charity Bass Tournament will be held on April 27, 2019 at the Palatka City Docks. 100% of all sponsorships and donations are tax-deductible and all tournament proceeds are passed through NEFAR Charitable Foundation to Haven Hospice at the event. With the generosity of our sponsors, the public and our fantastic anglers the NEFAR Charitable Foundation has been able to donate approximately $354,657 for Haven Hospice in the last fifteen years. 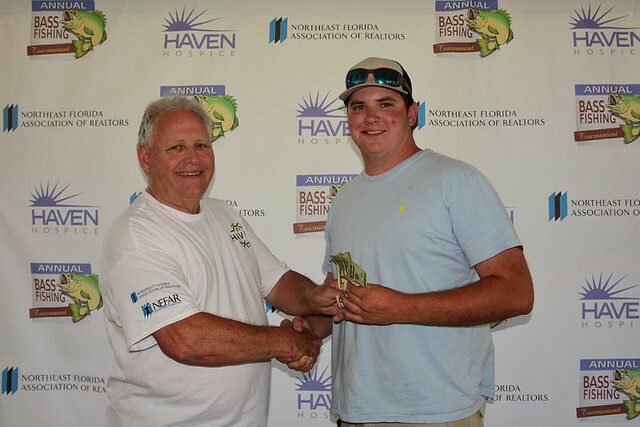 Thank you for supporting our 2019 NEFAR Charity Bass Tournament so Haven Hospice may continue to provide assistance to the families in our Northeast Florida communities. Outside of the obvious tax benefit, Hospice services have touched the lives of many of us and our families in our time of need and we want to ensure that their services remain available to everyone in the future. Facing a life-limiting illness can be a stressful, challenging and uncertain time for all families and Haven Hospice is here to assist you. They focus on maximizing quality of life by actively and aggressively managing pain and other physical symptoms, and they are committed to providing emotional and spiritual support for you and your loved ones. They honor and respect the cultural differences in the patients and families they serve and are dedicated to improving community access to hospice and palliative care. Serving North Florida since 1979 and licensed as a not-for-profit hospice since 1980, Haven Hospice has been honored and privileged to care for more than 45,000 patients and families. The organization is home to offices in Chiefland, DeLand, Gainesville, Jacksonville, Lake City, Palatka, the Keys and St. Augustine, covering 18 counties and more than 13,000 square miles. Haven Hospice pioneered freestanding hospice care centers throughout the North Florida region. Our inpatient care centers in Chiefland, Gainesville, Lake City, Orange Park, Palatka and soon to be Jacksonville are conveniently located to serve patients and families throughout our Northeast Florida Communities. 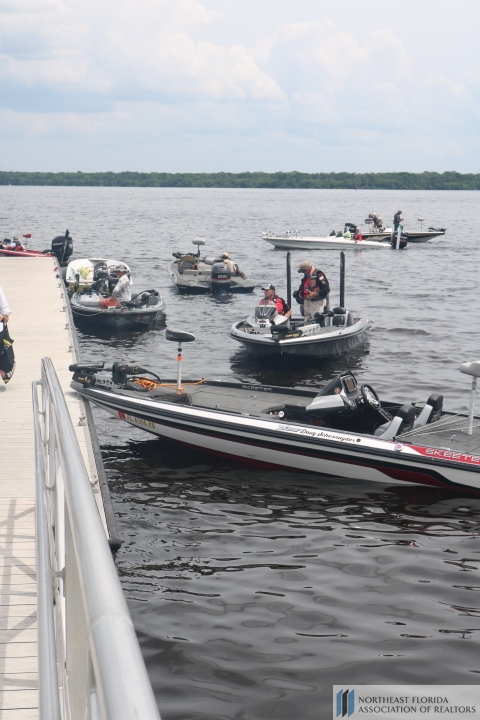 For the sixteenth consecutive year, the Northeast Florida Association of Realtors (NEFAR) will raise funds for Haven Hospice Roberts Care Center in Palatka through a catch-and-release Charity Bass Fishing Tournament. NEFAR donates one hundred percent of all proceeds raised to the Care Center, with approximately $354,657 having been donated over the past fifteen years. The following organizations help make our NEFAR Charity Bass Tournament a success. The Northeast Florida Association of Realtors® (NEFAR) Charitable Foundation Inc. is a 501C3 corporation (Charitable) which was established to raise funds and assets to assist members of the public and member Realtors® in times of need as approved by the Board of Trustees. All donations to NEFAR Charitable are voluntary and tax deductible.